Cramped seats, flight delays, reservation mishaps, a heavy foot, and car traffic … it could make any one want to cancel their faraway holiday plans right now. (Seriously, how does Santa do it all night in that sleigh?!) 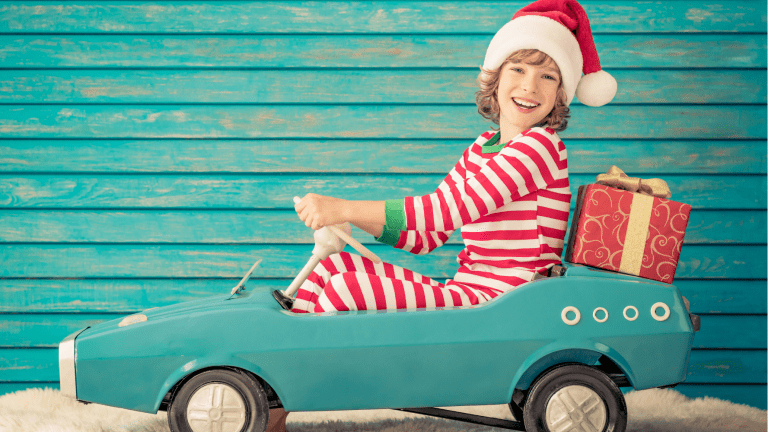 &apos;Tis the season to be uncomfortable during road trips and air travel; but you can take some steps to feel your best during those holiday long hauls. We&apos;re sharing five easy tips to keep you feeling great before, during, and after your arrival. 1. Take stretch breaks in the car or plane: Sitting for too long will cause fatigue and stiffness. Allow time when traveling to get up and walk around, perform a few stretches (if cabin space is available) or just stand up and change position. Hourly movements will help with circulation. 2. Watch the knee position: You can use your carry-on as a footrest to keep your knees at a 90* angle. Be sure to not let your legs dangle and avoid folding legs under yourself. 3. Snack wisely: Bring your own munchies for the flight. Salty snacks are quick but not always the best choice. Try a nut-based trail mix, fruit, veggie slices or a granola bar. 4. Stay hydrated: Dehydration can lead to headaches, muscle cramps, fatigue and reduced concentration. Water and herbal teas are great ways to keep you going. If you are prone to upset stomachs or nausea, bring along a few herbal tea bags such as ginger or chamomile. We feel most comfortable when humidity is around 50 percent – meaning the air is 50 percent saturated with water. The air in an airline cabin can fall to as low as 2-3 percent to a max of 10 on longer flights. Because of this, it is important to stay hydrated while traveling, which is especially important on longer flights. 5. Plan activities for kids: Every parent knows the value of an activity bag for long trips. Be sure to stock up on a few new items to keep their interest. Never underestimate the delight in a new box of crayons and a notebook! 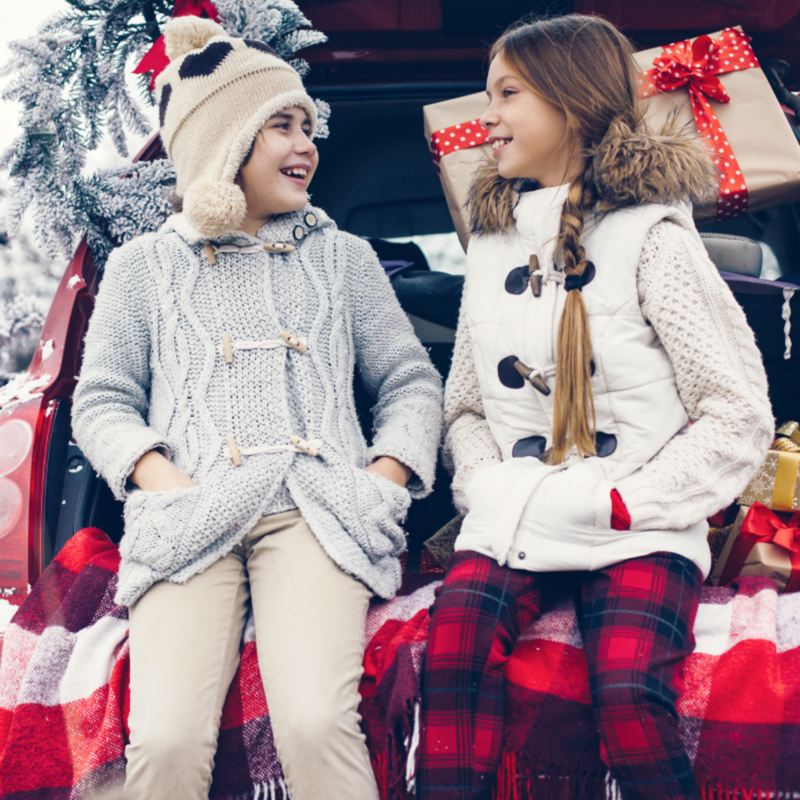 For more tips on keeping everyone happy and healthy during holiday travel, visit THIS POST. This is not a sponsored post. Tips courtesy of Julianne Lessard, OTR/L, CHT, and ergonomic specialist with ATI Physical Therapy.